Lance Stroll will have a great deal to be thankful for should Felipe Massa agree to end his extremely brief retirement by returning to Williams for the 2017 season. With Valtteri Bottas on his way to Mercedes to replace 2016 World Champ Nico Rosberg, Williams are reportedly closing in on Massa for their soon-to-be-vacant seat. The team is determined to pair up rookie racer Stroll with an experienced driver – and that’s one box that Massa with 250 starts definitely ticks. The prospect of Massa’s return has gained momentum in recent days with Spanish sports daily Marca reporting that he has already backed out of a deal to race in Formula E.
And this is great news for 18-year-old Stroll. Arriving in Formula 1 straight from Formula 3, the Canadian rookie needs a team-mate who not only has speed but also technical know-how together with general knowledge of Formula 1. The fact that Massa also knows all the circuits as well as the Williams team is a massive bonus. Billed as a “safe pair of hands” and “very naturally talented” by Rob Smedley, the 35-year-old can guide Stroll through his first season in the sport, giving the youngster a brain to pick if required – and it will be. 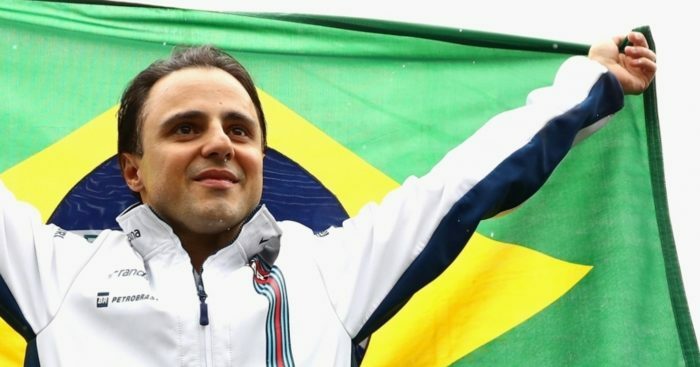 Massa may not be top of the billing for many but let’s not forget that he finished runner-up in 2008, losing the title by a single point, and has teamed up with some of Formula 1’s best drivers, namely Michael Schumacher, Fernando Alonso and Kimi Raikkonen. And there were many times when he held his own against them. But not everyone is in favour of the Brazilian returning. This season is gamble for all the teams with the new technical regulations set to shake up to the order. However, with Massa knowing Williams’ most recent cars, it wouldn’t only be Stroll who benefits. But first Bottas needs to sign with Mercedes, and Williams need to confirm Massa.